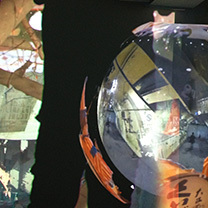 Wandering Without Wondering is an installation with dual-channel projection mapping onto walls of an exhibition gallery and a 92 cm balloon, VR video and multichannel sound, distilling artists Peter Williams and Sala Wong’s practice of technology-augmented walking. The piece depicts the technological facilitation of journeying into the unfamiliar, and the realization of technology’s distancing effects on everyday life. 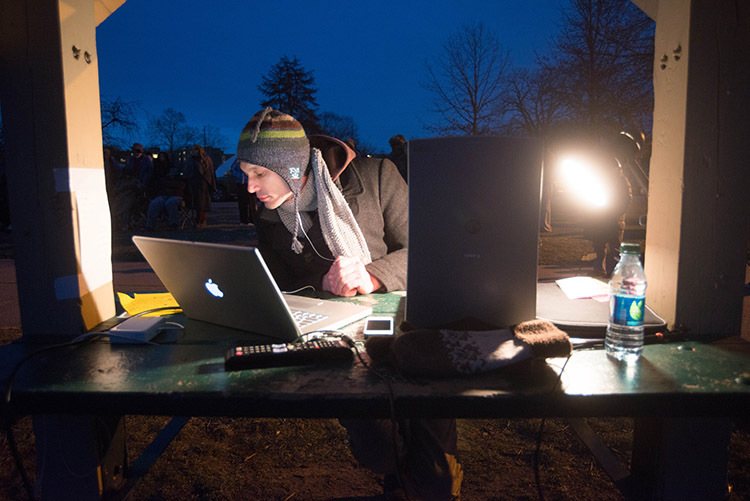 We imagine to use technology and reach from our senses and familiar surroundings, seeking alternative immersions. As technology moves us further and further from the familiar, we experience distance to ever-more profound degrees. Reaching this point of departure, we recognize our disappearance and the distancing effects of journeying itself. This project condenses and represents my experiences of Hong Kong as a city whose public and private spaces are saturated in and permeated by screens of all sizes and shapes – from the world’s largest (the LED facade of the 108-story International Commerce Centre) to myriad advertising displays installed throughout the city’s extensive public transportation systems and the ubiquity of smartphones. The abundance and density of such displays is a large contributor to Hong Kong’s status as the most light-polluted city on Earth. 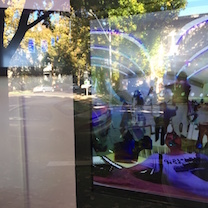 Over a six-week period in the summer of 2016, I used an omnidirectional camera to record hundreds of these screens, focusing on transitional spaces and the ephemeral quality of large-scale, multimedia advertising campaigns. Presented at The Inside()ut, Sacramento CA. 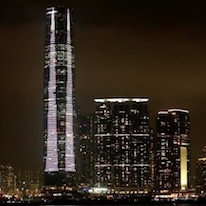 818 Cubed is a morphing-based animation that uses the LED display system that covers three facades of Hong Kong's International Commerce Centre (ICC) to change the tower's apparent shape. The sequence begins by highlighting the natural shape of the ICC (the world's tenth tallest tower upon its completion in 2010). This profile is next “morphed” into a contour shape representing Taipei 101 (Taiwan). Nine structures are represented in the sequence. Various formal strategies are used for structures that do not conform to the slender, singular shape of ICC. In terms of sequencing, 818 Cubed relates the formal qualities of each structure as well as globalized economic and political contexts through juxtaposition. Accompanying audio comes from airports of various cities where the respective towers are located. This project was presented as a part of ISEA 2016 and OpenSky Project. 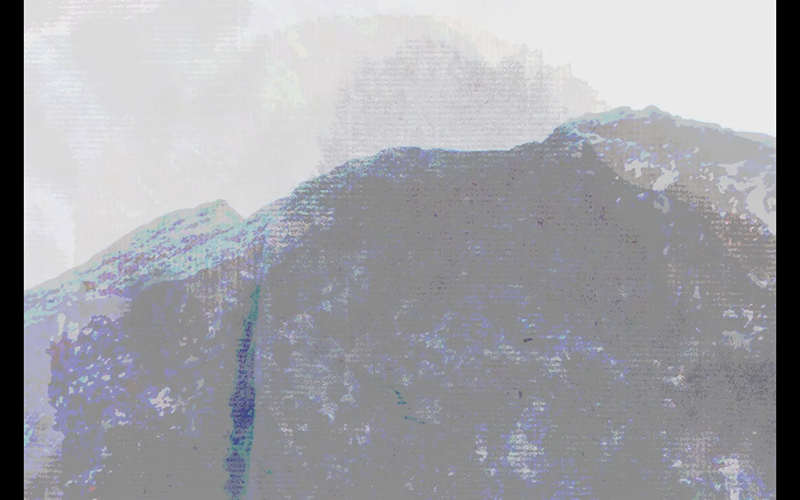 Conglomerate Distortions is a series of immersive animations that emerge from collaborative artists Sala Wong and Peter Williams’ practice of hypertourism. The series was inspired by the artists’ visit to Art Basel Hong Kong 2014, where they were met with wildly varying images and objects for sale from all over the world within a densely packed exhibition and marketing space. For each instance of the series, the artists visit a range of tourist spectacles in different locations and within a compressed timeframe. 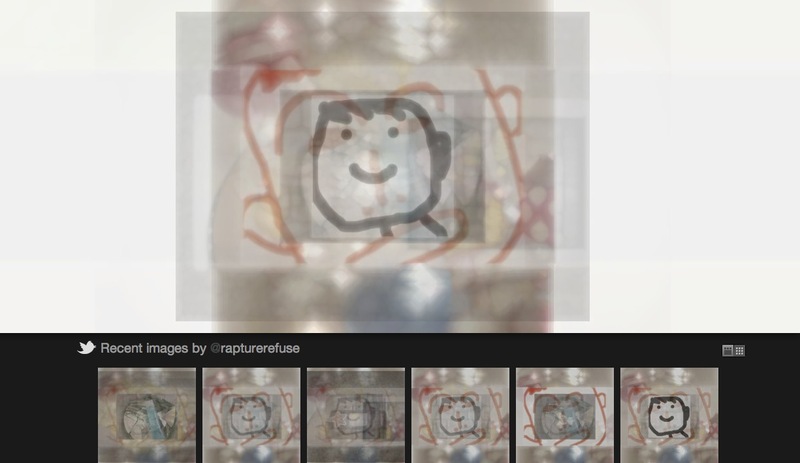 Throughout this process, they document their experiences using panoptic cameras. Panoptic photography is used because, photographing in all directions at once, it provides an approximation of “immediate surroundings,” displacing the conventional “framing” of a scene and including visual information outside of the artists’ selective view. The photographs are collaged together in a manner that interprets the artists’ experiences. 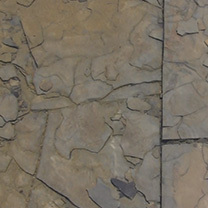 The completed collages are then composited using CG Animation techniques. Presented as a synchronized, projection-based installation, the effect is an immersive and dizzying reproduction of the artists' experiences as hypertourists. Conglomerate Distortions will be exhibited in the SIGGRAPH Asia 2015 Art Gallery (Nov. 3-5, Kobe Japan) and was included in the internationally traveling 2014 Lumen Prize exhibition. 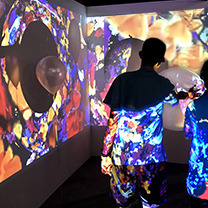 Project/SIGGRAPH exhibition supported in part by Indiana University's Advanced Visualization Lab and School of Art & Design, and Indiana State University's Department of Art & Design. 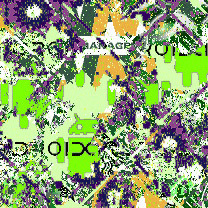 Reflecting the fact of digital art as always-new, Grasping Elapsing 3.0 reinvents my 2003 MFA thesis project using more newly obsolete techniques. 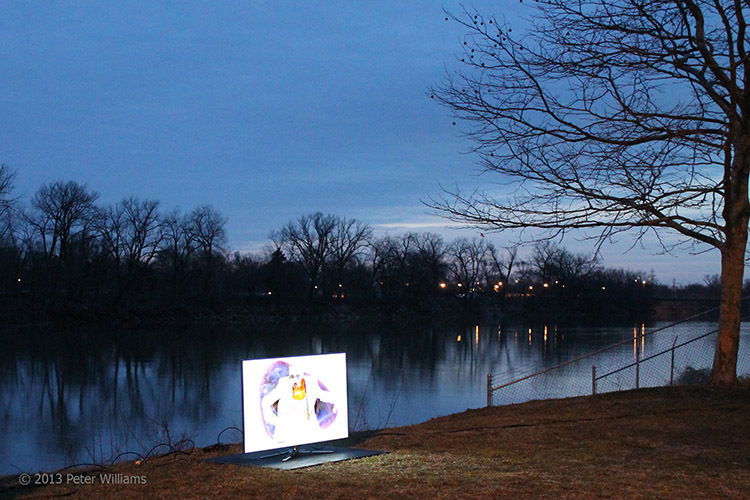 The piece involves a performance with me sitting in front of the Wabash River in Terre Haute Indiana. 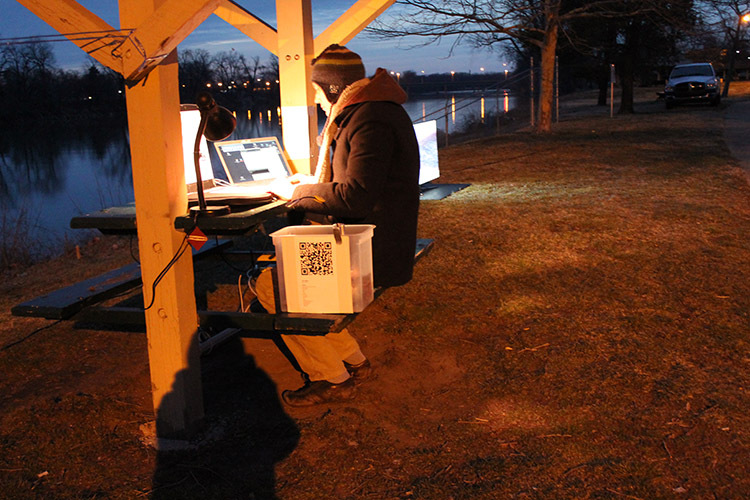 I have a laptop, a scanner, a 55" LED panel television, a lighted bucket, a collection of found objects, and printed QR Codes that direct participants to streaming audio that augments the performance. 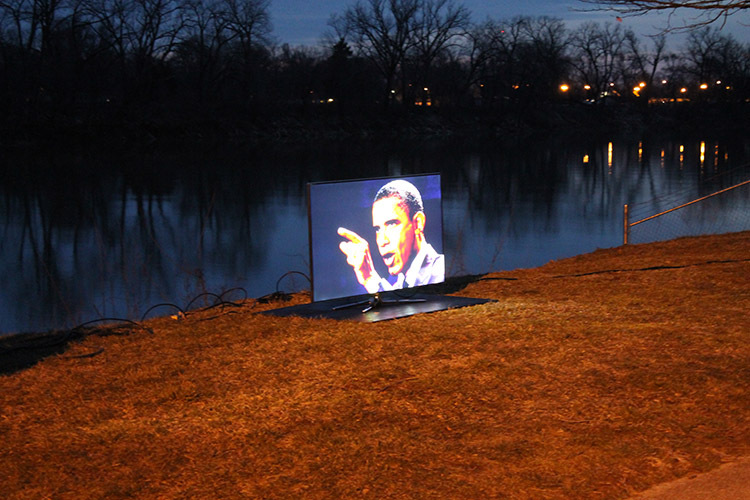 Throughout the approximately hour-long performance, I scan found objects and display them on the television. Every so often, I get up from my seat and present the lighted bucket to my audience, inviting them to contribute anything they would like to be scanned by placing it in the bucket. 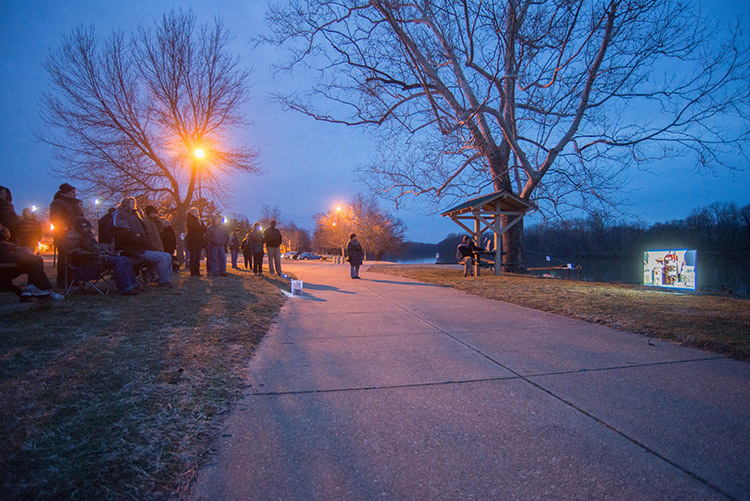 The project was developed in cooperation with ArtSpaces, Inc.'s Year of the River initiative in Terre Haute, Indiana, and funded in part by an Indiana Arts Commission grant. 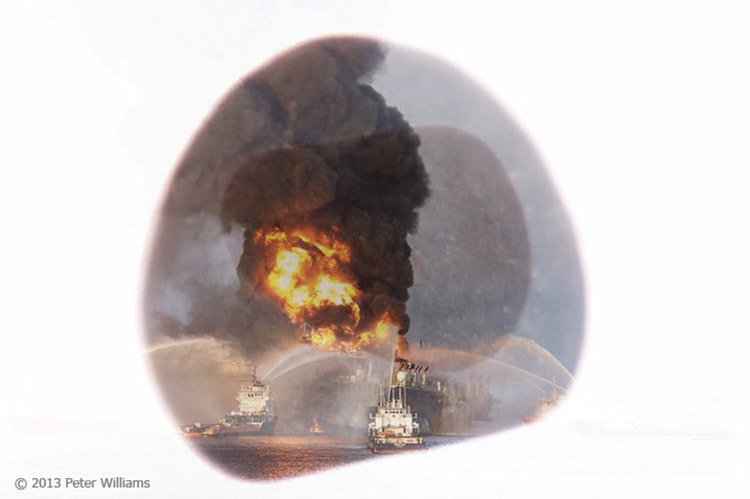 During the initial crisis of the 2010 Deepwater Horizon oil platform explosion, Sarah Palin issued a tweet in which she, implicating environmental activists in the disaster, coined the term "extreme greenies." Arrested by the mental image of an "Extreme Greenie," I created this interpretation. In this piece, eighteen mostly-green corporate/brand logos take turns competing for screen space using artificial life simulations based on John Conway’s Game of Life. The viability of any one logo is determined in real-time using live stock market data feeds. Increased relative value of a stock produces a greater initial seeding of image pixels. In the resulting simulation/drawing, greater population density generally results in higher levels of reproduction and thus more screen presence for that particular logo. In cases where a stock has dropped in price, the logo’s color palette is inverted, producing, in general, a predominately magenta rendition of the logo. During NYSE/stock market closure, such as before 9:30 am after 4:00 pm EST, and on weekends, the most-recently available stock data is used, thus resulting in less variance during those viewing hours. 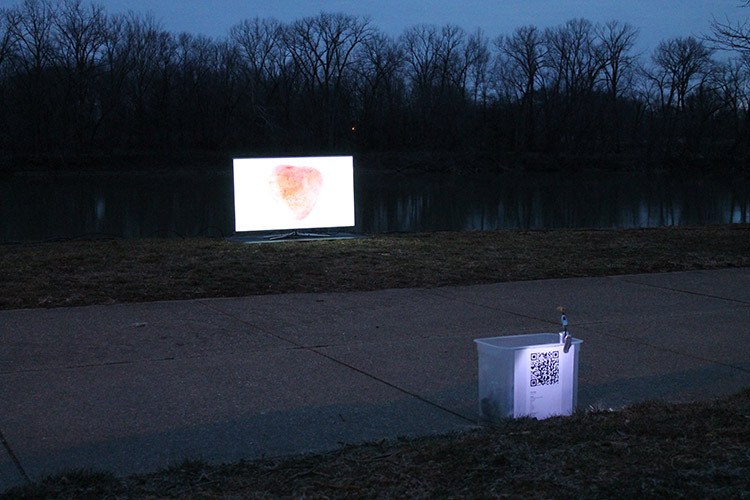 This piece has been exhibited at DePauw University, Indiana University and the 21st International Symposium on Electronic Art (ISEA2015) Vancouver. When I first viewed Hungrybear9562’s “Yosemitebear Mountain Giant Double Rainbow 1-8-10”, I was amused by it. However, I was also struck by the narrator’s sincerity and awe. Looking at his many other videos which find profound beauty in the simplest of encounters, I became convinced that Hungrybear9562’s reactions to the double rainbow were sincere. I was saddened by the overwhelmingly sarcastic Youtube user comments. Hungrybear9562 has since “owned” his Internet fame, appearing on Goodmorning America and selling T-shirts. 3G coverage has brought capitalism to the most remote mountaintops. However, it also seems that the democratization of media has encouraged many to publish work without understanding how to convey their intent. In this piece, I hope to recover what I perceive as the innocent beauty of that personal, early morning encounter with nature. The Youtube source video file was downloaded and processed, splitting the video frame into a 7X7 grid and muting the audio. 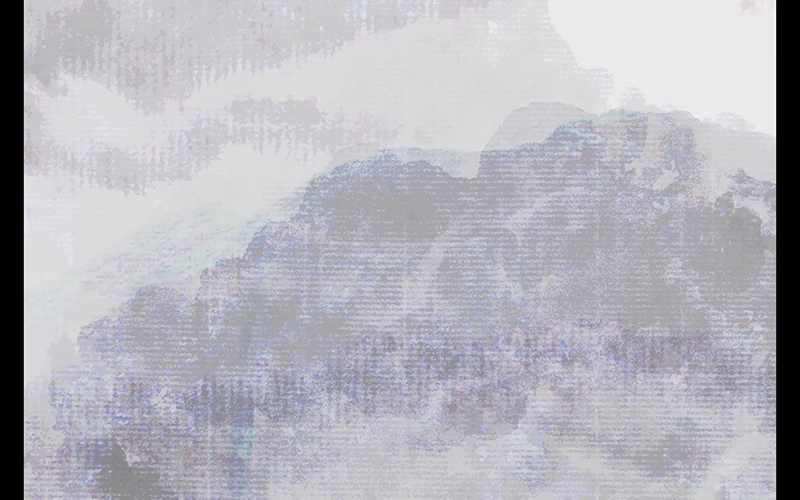 Each grid unit is composed of color averaged from the corresponding pixels from within that portion of the original video. This is projected onto a white wall, in front of which hangs a translucent screen, hand-made from tiles of diffraction grating. 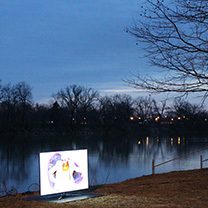 The projection is larger than the hanging screen, so that the processed Youtube video is visible in “margin” areas around it. The piece is displayed in a space with windows, allowing natural light to mingle with the looping projection. 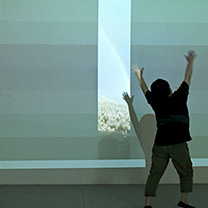 Rainbow-like effects are produced and vary based upon the viewer’s position relative to the screen and time of day. In Hungrybear9562’s video, you could hear the faint sounds of wind chimes. In my installation, while I have muted the original audio, I have re-introduced the wind chime sounds. This piece has been exhibited at Swope Art Museum, Terre Haute, Indiana and 3331 Arts Chiyoda, Tokyo, Japan. 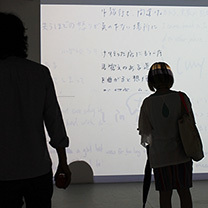 Recurrent began as a residency project in Tokyo, Japan. Collaborative artists Sala Wong and Peter Williams wandered Tokyo and approached over 300 residents, asking for their interpretations of being lost. The project has since expanded to other cities around the world. Participant contributions consist of a written response in the language of their choice, and a drawing. The Recurrent gallery installation consists of two levels of engagement. 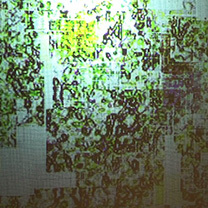 First, visitors encounter a large projection displaying participant’s writings within a grid (referencing a map). 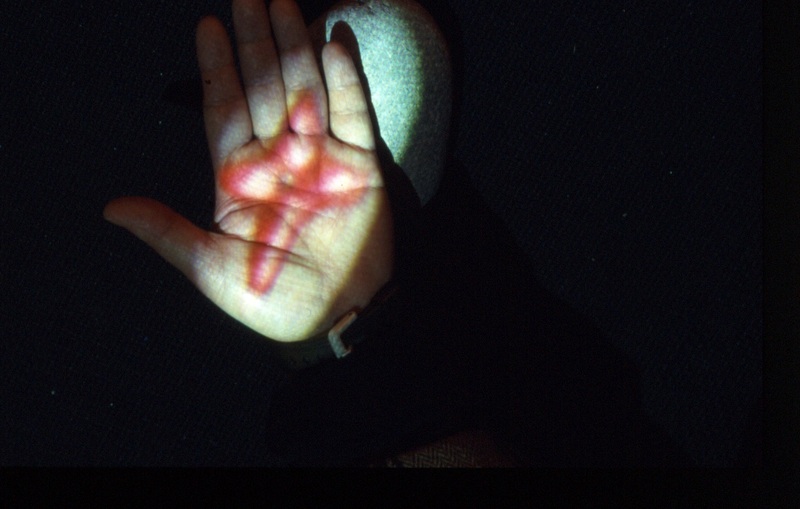 An overhead camera tracks visitors' positions: the most visually “active” areas of the projection correspond to the position(s) of visitor(s), flickering through fragments of participant's responses (from a database). The “active” areas, while visually stimulating, are more confusing to read than the “inactive” areas, which are static and fade to gray. 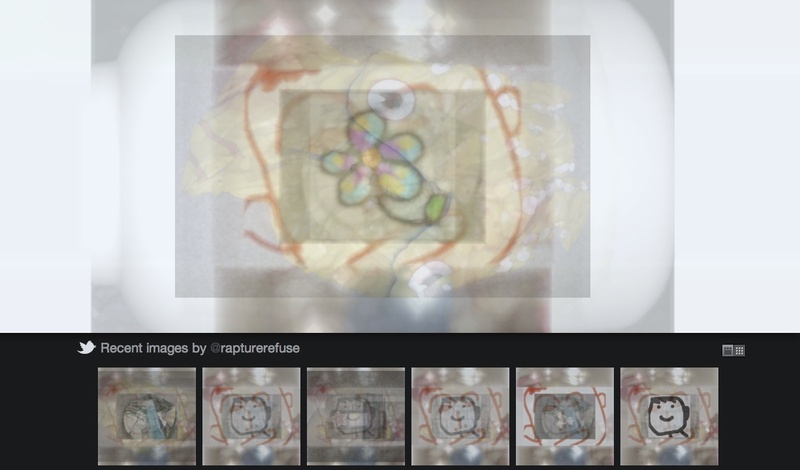 Another projection, in an upper corner of the gallery, displays participants’ drawings superimposed over real-time feeds from IP webcams around the world, depicting an array of views from unspecified locations and times of day. The random juxtapositions of drawings and unknown locations reflect that a forgotten experience might suddenly be recalled in an unexpected place. The second level of engagement invites gallery visitors to become participants. Prompts, paper and pencils are provided at a table with chairs. 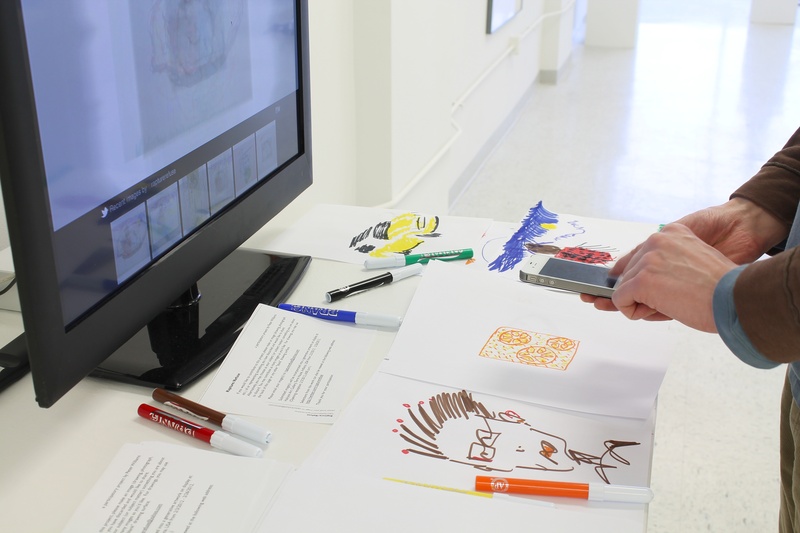 Participants can write and draw, and then, following provided instructions, use their smart phone to photograph their responses and upload them to the project server to be automatically incorporated into the project database for the current and future exhibitions of Recurrent. 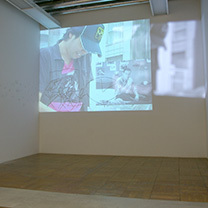 Recurrent was exhibited in a two-person exhibition at 3331 Arts Chiyoda, Tokyo, Japan. Explosion of a City is a mixed media installation poetically interpretive of my experi- ences in Beijing. The installation is housed within two separate, adjacent rooms. In one room, there is an opening in the wall, like a window. Through this window streams a projected animation of colored light, simulating the indirect glow of fireworks. The light from this projection angles upwards and bounces off from the ceiling of the room. On the floor are a series of open-top boxes made from mirror, with the mirror surface facing inward. 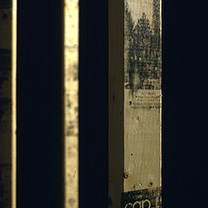 The bottom of each box is lined with patterns generated from photographic im- ages of high-tech skyscrapers. As the light from the projected animation quietly reflects from the ceiling above, its color is caught within the boxes and the recursive effect of the mirrors produces a highly illusory, Cartesian sense of infinite space. In the second room, individual earbuds (headphones similar to those used in Apple iPods and cell phones) dangle from the ceiling. From the earbuds, one can hear the sounds of fireworks, echoing in the distance. The only light in this room comes from a small, outdated television that sits in the corner, facing the wall and a small array of fractured mirrors. 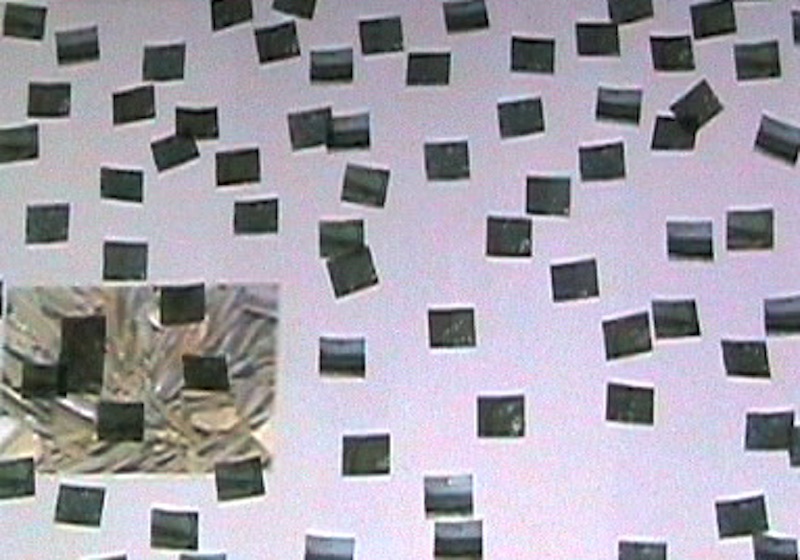 The television plays an animation that echoes the visual elements found in the room next door: cycling, colored light, and grid-like patterns. However, the scale here is much smaller, the colors are less saturated, and there is no use of recursion. 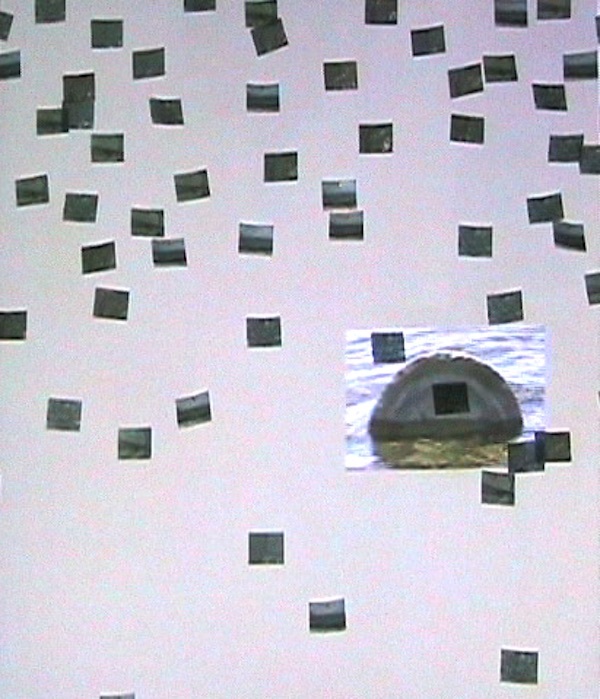 This installation was exhibited in a solo exhibition at Low Road Gallery, Greencastle Indiana and Swope Art Museum, Terre Haute, Indiana. 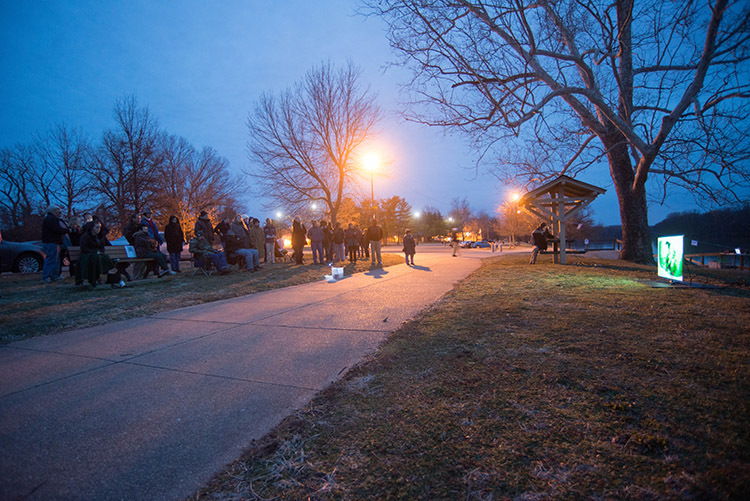 It was developed with support from an Indiana Arts Council grant. 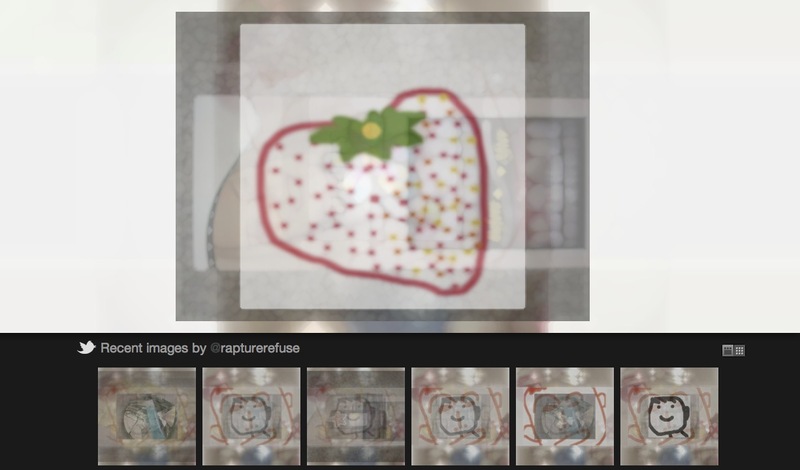 Rapture/Refuse is a hybrid art project that transforms matter into myth and metaphysics, and presents code and material as a unified spatial and aesthetic experience. 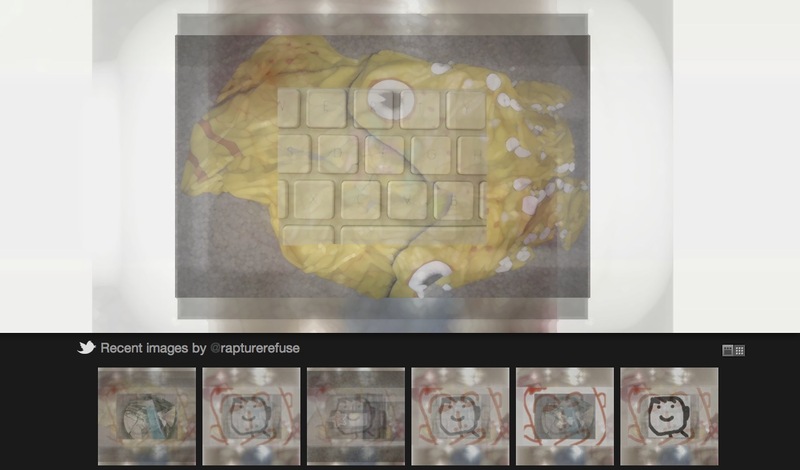 It explores relations between code, form and image by generatively combining and processing participants' images, into a "landfill of the afterlife." 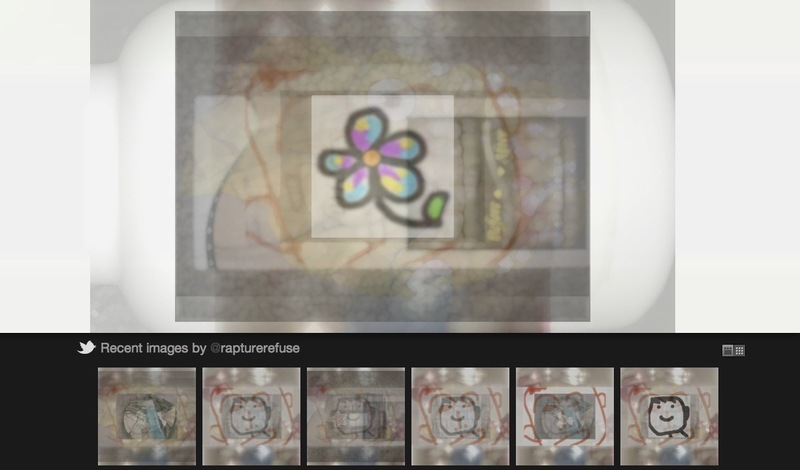 The project's custom software makes formal, syntactic and aleatory connections among participant's images. In so doing, it weaves an ambiguous space in which materials are created and destroyed, obliterated and reanimated. Sometimes, even though we may feel conflicted about doing so, we must discard or eliminate things, people, ideas and more from our lives. A part of us wants to hold on to things even though we cannot always realistically keep them. One explanation for the popularity of social media services such as Facebook, Twitter and Pinterest may be their ability to function as convenient tools for the archiving of everyday life events and the digitization of material artifacts and ephemera. These personal daily-life accounts at once comprise and are destined for the landfill that is consumer culture. 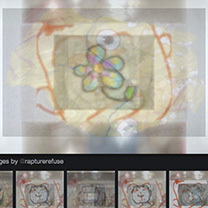 Rapture/Refuse playfully and ironically reflects upon this paradox, visualizing a landfill of immortality; a cathartic space for people to see their past selves live on and become (n)ever new. It was exhibited at Halcyon Contemporary Art, Terre Haute, Indiana. Divisible Synthesis, created in collaboration with Sala Wong, is a site-specific interactive digital installation that was designed for the flagship MUJI store in Hong Kong, located in the Harbour City shopping mall, Tsim Sha Tsui. It was created as a part of a two-person exhibition at Atelier MUJI. Inspiration came from the dogwood tree - a common sight in many parts of the United States. The particular type of dogwood tree in our neighborhood goes through a period of rapid metamorphosis, including its color, leaves, flowers and even its scent, each spring. My collaborator and I thought about the relative perception of change (in landscape, urban environment, nature and culture) in midwestern USA versus Hong Kong, PRC. 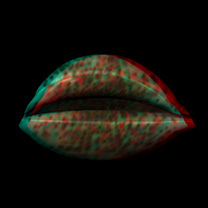 Imagery was initially generated from a combination of photographs and genetic and cellular images of the dogwood. A narrow hallway, lined with display cases, leads to the entrance of the MUJI store. Inside the display cases are printed images that from a distance appear to be silhouetted trees. Up close, one can see that these images are actually composed of tiny cells. Layered behind these translucent images are image sequences that detail crowds of people moving about in public spaces, much like the multitudes of shoppers found every day in Hong Kong's many shopping malls. Located in the MUJI storefront is the second part of the installation - a rear-projected, interactive, generative, animation. 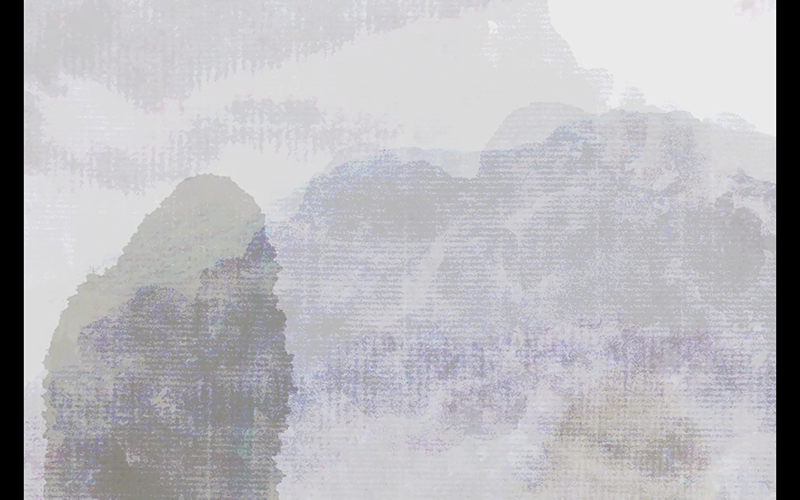 The generative processing of this animation depends on the presence of viewers. When no one is around, the generative animation appears to be a static grayscale image, with the tree rendered as negative space. As people approach from the distance, the cellular structures start out tiny and very gradually fill in the areas of white. As the viewers come closer, the generative process speeds up, with larger and more colorful areas filling in rapidly. Standing close to the screen, one can see many details, but with less overall resolution. talk...the...line (Prague) is a multimedia interactive installation examining the drastic changes that have occurred within Prague since 1968 and the Velvet Revolution of 1989. Taking the famous Prague Spring as a starting point, collaborative artists Sala Wong and Peter Williams re-examine the notion of "historical site" in the context of a tourist industry. Each year, millions of tourists retrace the footsteps of the Warsaw Troops, snapping photographs around Wenc- eslas Square. In a sense, the individual tourist’s experience is fleeting. However, the un- ending influx of visitors seems to have forever changed this site and its historical reading. GPS Photo-Tagging records Absolute Location alongside images, sounds, commentary, and historical documents to reference Relative Location. These two spaces contradict each other, raising questions about history, subjectivity, and collective memories. 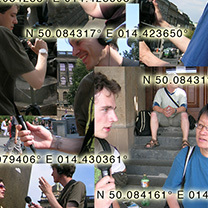 There is also an ironic aspect to our use of GPS to tag the unmoving location of a well-known landmark - the physical layout and imagery in the installation is an interpretation of Wenceslas Square itself as a dead-end, unmoving under the weight of its own political and social history. 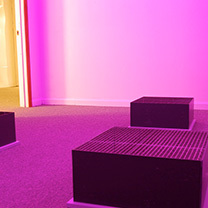 This closed-off space can be opened with the sound of the participant’s own voice, a gesture which emphasizes the importance of individual agency and social engagement. The project was initiated at the Open Studios Prague artist residency. It has been shown at Skolska28 Gallery, Prague and IDEAS 2007 (FUEL Gallery), Philadelphia. In the winter of 2013, I visited Banff, Alberta. The beautiful mountains were the perfect subject matter for my first attempts at Chinese ink brush painting. This medium translates objects and landscapes, big and small. While many other forms of painting amass time, ink painting spans it and is transitional. 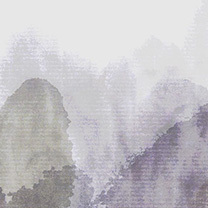 I digitized some of my ink paintings, as well as some of Sala Wong's, and incorporated the images into a generative program that composites them nonlinearly and indeterminately, encompassing time but not a fixed duration. 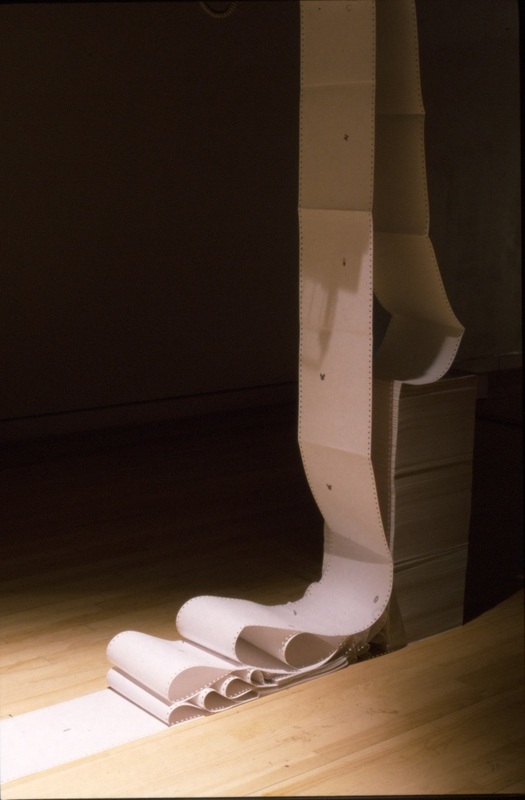 This piece has been exhibited at Indiana University Art Museum. 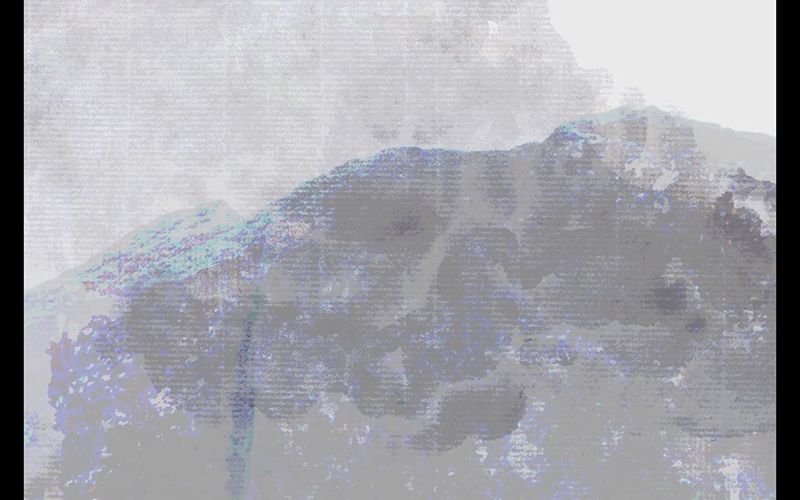 Border Splice is a series of video art works and installations that interpret physical, architectural, geographical, cultural and historical aspects of contested lands around the world to which I feel personal attachment. This first piece in the series was based on Ipperwash Beach in Ontario, Canada (also known as Kettle Point). Focused effort on the piece started during the summer of 2007, and was completed in February 2009. Ipperwash Beach was chosen as the site of this first edition for several reasons. Located within thirty minutes of my childhood home, Ipperwash is a sacred site for First Nations Aboriginals and is geologically significant in that it contains natural, spherically-shaped rock formations known as kettles. In the early twentieth century, the beach and surrounding areas were appropriated by the Canadian Government for use as a military base. In 1997, a peaceful protest by members the local Aboriginal community became a tragedy when RCMP officers shot and killed one of the protesters. In the following years I have revisited the beach, creating photographs and videos. Within the Border Splice series as a whole, I use highly composed high-definition video sequences. Formal strategies in editing and composition further underscore the paradoxical tension and uneasy quietness that such locales tend to evoke. 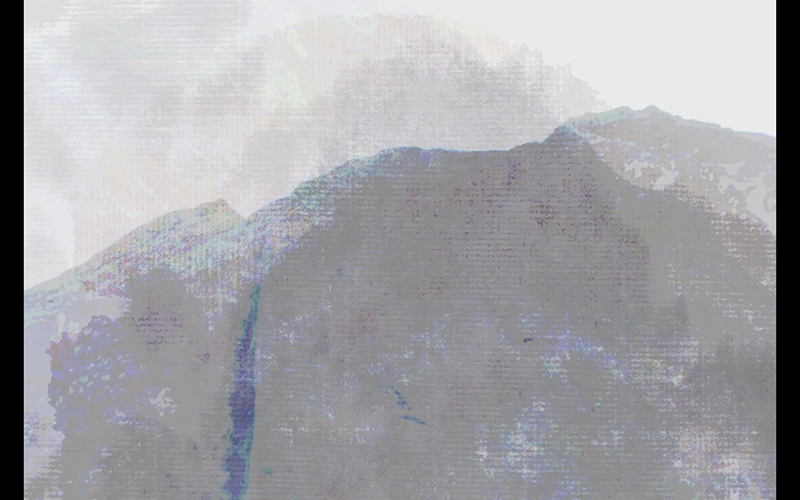 In this particular case, I decided to create a video installation in which small vignettes and details of rock formations appear at intervals within a white projection area. The projector is situated close to the floor, and points upwards. 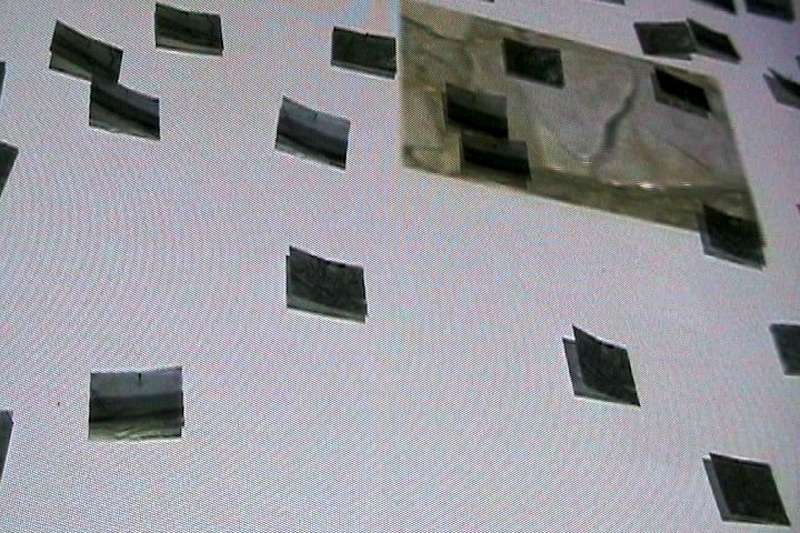 Individual still images (photographs), printed onto transparent film, are scattered over the wall. 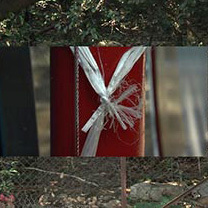 Border Splice has been shown in a two-person exhibition at Halcyon Contemporary Art in Terre Haute, Indiana and at DePauw University, Greencastle, Indiana. This video documents one of the few places in Hong Kong SAR and China where the Taiwanese flag (flag of the Republic of China) is flown. An overgrown and ambiguous site within a dense forest area of Tuen Mun, the upper levels of surrounding condominiums are one of the few spots from which you might catch a glimspe of it. A friend of mine happens to live within clear view of the site. Otherwise, I’d probably never known about it. This work has been shown in a two-person show at Halcyon Contemporary Art in Terre Haute, Indiana and in another two-person show at Atelier MUJI in Hong Kong. Photocycles takes the notion of a "first-person map" (Google Street View, for instance) as its basis. Participants are invited to borrow a bicycle that has been fitted with a digital camera. The camera includes a wireless card that continuously geotags and transmits images over WiFi. The shutter-release button, located on the handlebars, allows the photograph-making process to be akin to punctuating a dérive-like ride. These photographs are more about rhythm and sensuality rather than directed image-making. 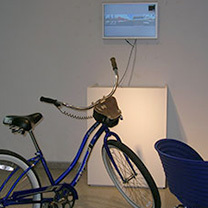 As photographs are made from the bicycle, they are automatically georeferenced and uploaded to a computer station in the gallery. 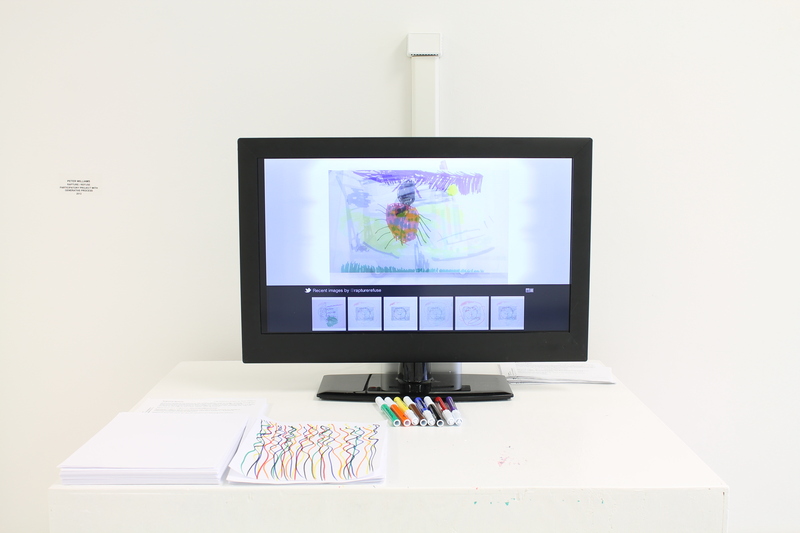 From here, gallery visitors can interact and “paint” their own map/landscape hybrids. In an important distinction from Google Street View, the interface of Photocycles’ is not immersive. The interactor does not have a roving POV. Rather than “navigating” the images, the interactor composes with them - pushing, pulling and dragging them in, out and around a canvas-like space. 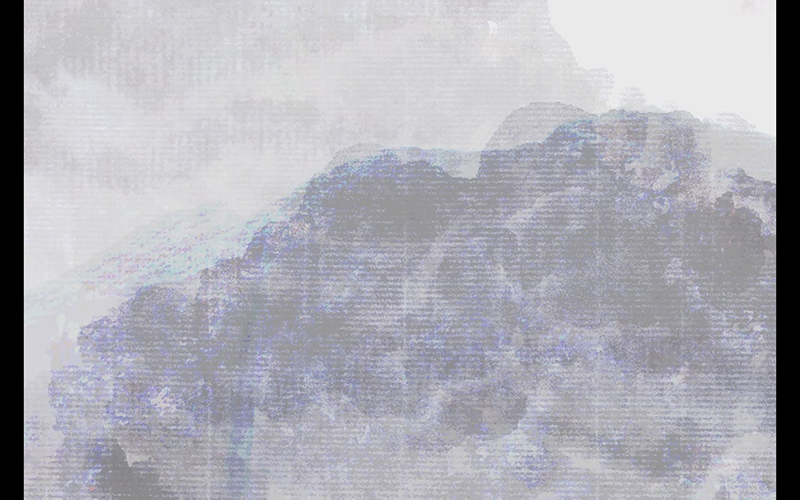 The result is a collaborative, generative painting process between the rider and the interactor. The images created by this collaboration between bike rider and gallery visitor are re-imaginings of local, familiar landscapes. Photocycles was first created as a part of DePauw University's ArtsFest 2009 "Art and Borders," and has since been shown at Halcyon Contemporary Art, Terre Haute, Indiana and the Hong Kong Arts Centre (Hong Kong). 3331 Arts Chiyoda resident artists Sala Wong & Peter Williams launched their exhibition Lost & Found in Tokyo on 26th June, in conjunction with 3331's 1 Year Anniversary Celebrations. Throughout their residence the artists have interviewed over 150 Tokyo residents about the things they have lost and found, each participant drawing a picture as their answer. Based upon these interviews and the many drawings which they have collected Sala and Peter have developed a media installation with video, animation and replicas of the drawings themselves. In times of difficulty there is also opportunity, when we lose something we also discover something, Sala and Peter point towards these mutual experiences and ask us each to consider what it is that we have lost and found. This installation was shown in a two-person exhibition in 3331 Arts Chiyoda, Tokyo, Japan. 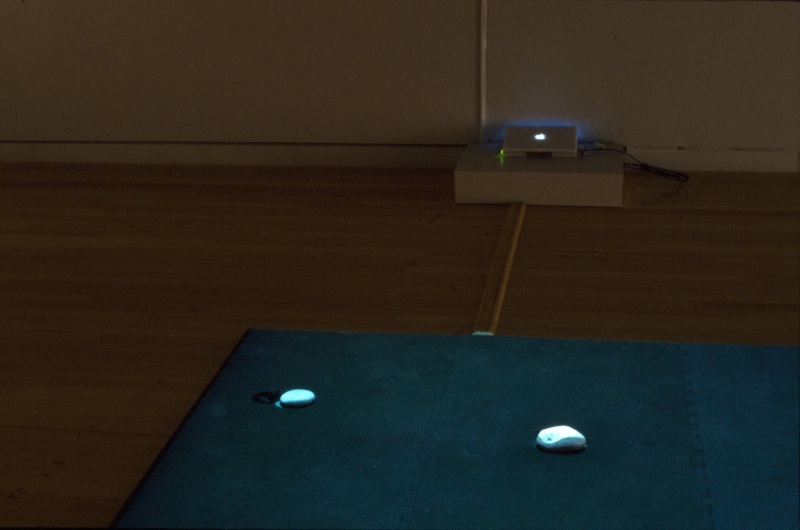 The gallery participant first sees illuminated stones on the floor. Beyond this, she sees a tall stack of paper looped into a printer that hangs inverted from the ceiling. Approaching the stones, she sees that the illumination is actually coming from a projector which points down from above. Onto each stone is projected its own image. 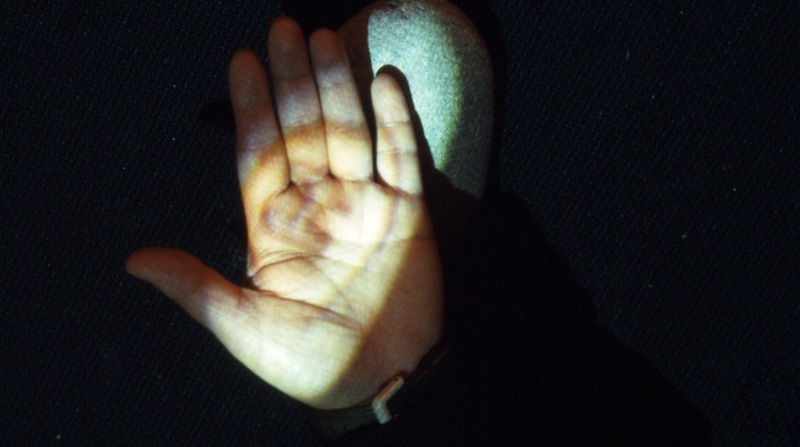 While she cannot physically pick up the stones (they are fixed to the floor), when the participant interrupts the projection (by placing her hand between the projection and the stone itself), the image of the stone is projected onto her hand. 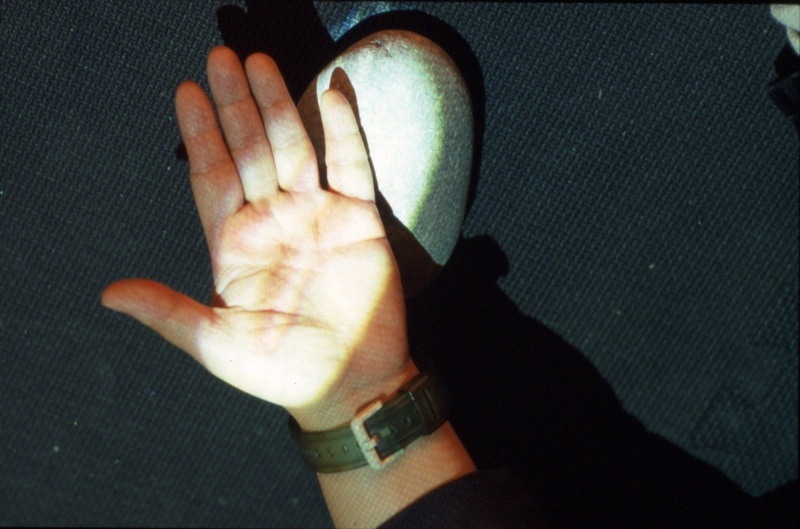 In addition, proximity sensors detect the participant’s presence: depending on the vertical distance between one’s hand and the physical stone, different images are superimposed onto the stone’s projected image. 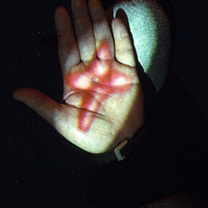 Thus, the participant sees the image of the stone, along with the additional images, pro- jected onto her own hand. Quick movements result in a rapid changing of images, while slower, more controlled movements allow one to comprehend the sequences. When one maintains a single image for long enough, a portion of a poem is heard, and a corresponding image is printed. The participant must maintain composure and stillness in order to experience the “entire” poem, which in fact is generative and can be endlessly re-edited in this manner. 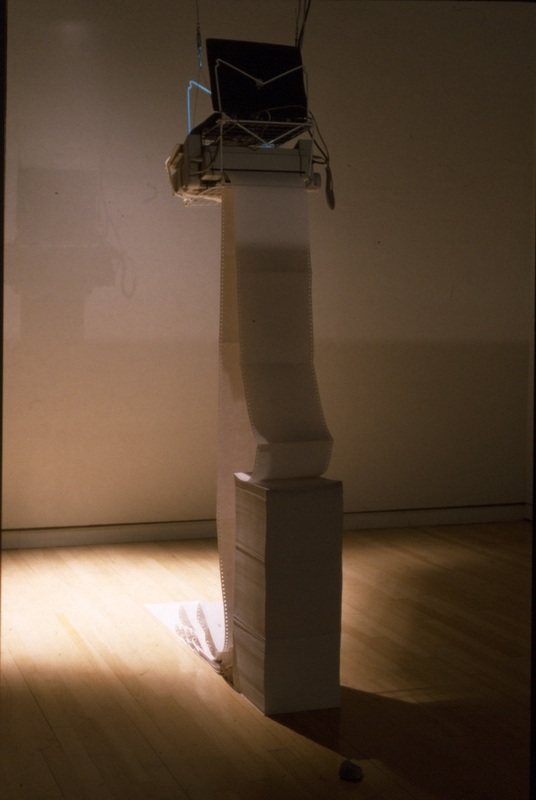 Moving further into the space, the participant investigates the printer and tall vertical stack of paper. With each interaction, the paper gradually spills onto the gallery floor. This ream of paper records the past experiences and editing of previous participants. 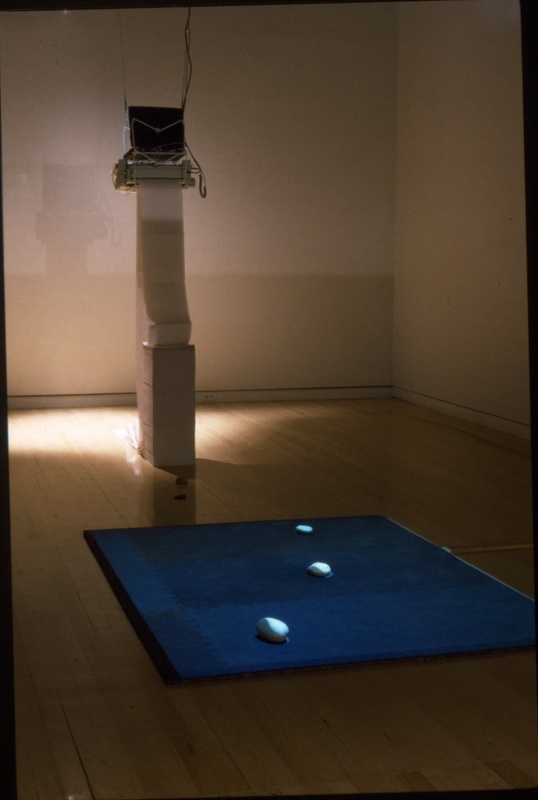 This installation was shown at the Center for Art and Visual Culture, UMBC, Baltimore, Maryland. One aspect of CG is that it uses elaborate shading methods (for instance, texture, bump, and displacement mapping) to lend an impression of “depth” to what are essentially depthless forms. All CG models are without volume - even the most tactile-looking surface is in fact a hollow shell. 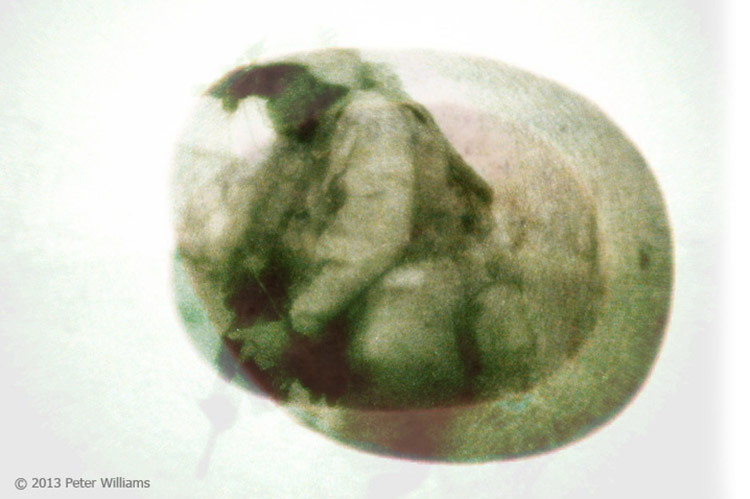 In this piece, I used the concept of “Shell” to act as a metaphorical link between physical forms and simulated images. 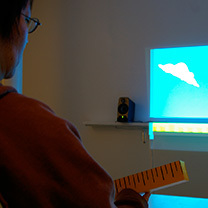 Participants of this series of "virtual sculptures" wear anaglyphic (red-blue) stereo glasses to view a horizontally oriented LCD screen (like a table). 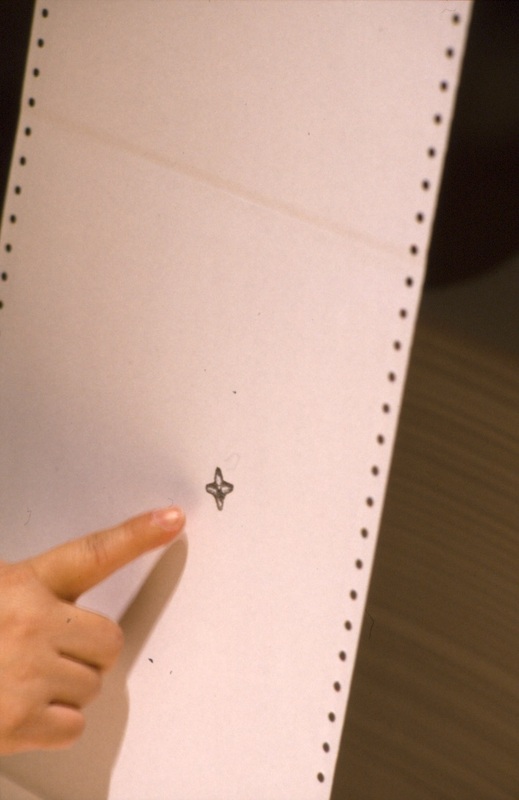 A pane of glass is mounted on top of the screen, and onto this pane is affixed a scroll-wheel (like those found in a typical computer mouse). Manipulating the scroll-wheel causes the "Shells" to roll and unroll to-and-from their familiar forms into perfectly flat planes. By coupling this scrolling interface with the stereoscopic illusion of depth, it almost seems as though one can hold the shells in her hand. This piece was exhibited at Ball State University. 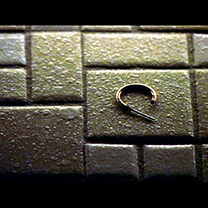 A series of incipient memories are triggered by a earring that I found in the parking lot. Traces of associations emerge through my unrehearsed and minimally-edited stream-of-conscious narration. Each memory involves what would normally be a highly determined activity, but for various reasons all were non-events. An unused phone extension at work, several childhood track-and-field competitions in which I had oddly peripheral roles/involvement, and the one song that I managed to memorize on the piano. The consistency of visual form in this piece emphasizes the fact that these disparate memories have been threaded together within my mind. The title and also the use of unlearned piano playing are in homage to John Cage. 3344 was exhibited as a part of a solo exhibition at Low Road Gallery, Greencastle, Indiana. 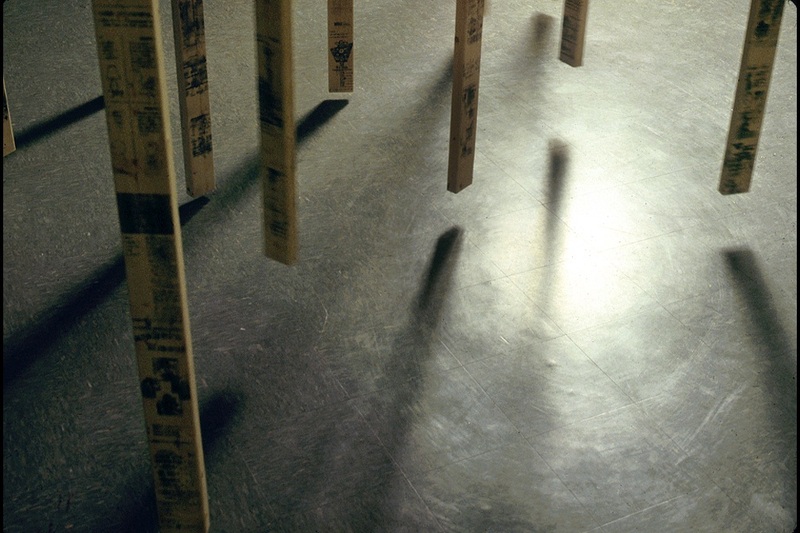 2X4" Lumber "studs" hang from the gallery ceiling, swinging freely from varying heights between one to eight inches from the floor. A single diffused light source illuminates the room from a corner, casting soft light and long shadows. The surface of each stud is covered with text and images transferred from reversed copies of pamphlets that I've been collecting over the years. At the center of the space, looking up to the ceiling, one can find a horizontally-oriented stud. On the surface of this stud is inscribed one of my own poems, which talks about finding an earring on a sidewalk. The Price of Being Right references "Cliffhangers" from the TV game show "The Price is Right." In the show, a mountain is represented by a bright yellow ruler-like scale with dollar values ascending along a 45-degree slope. A “Swiss mountain climber” character starts at the bottom of the mountain. As contestants guess prices of commodity goods, for each dollar difference between the guess and actual price, the character ascends. However, the peak of the mountain is also a cliff: if he goes over the cliff, the game is lost. Reaching the summit of a mountain conventionally connotes victory. In this game, however, the closer the climber gets to the top, the greater the sense of urgency and impending failure. 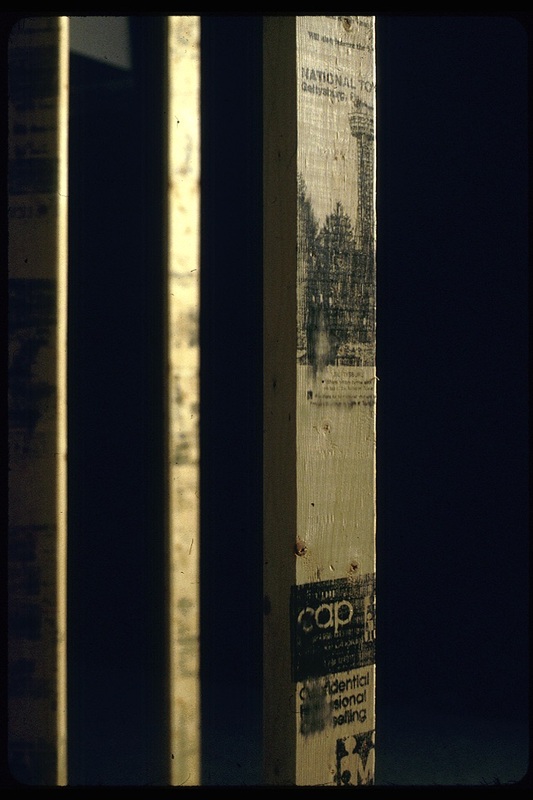 In my installation, participants hold a ruler-like object resembling the ruler/mountain in the TV Show. Point of View is canted 45 degrees, so that the mountain is horizontal along the bottom of the frame. Numbers/prices are missing from the mountain/scale, and the “progres- sion” is endless - there is no peak/cliff represented. 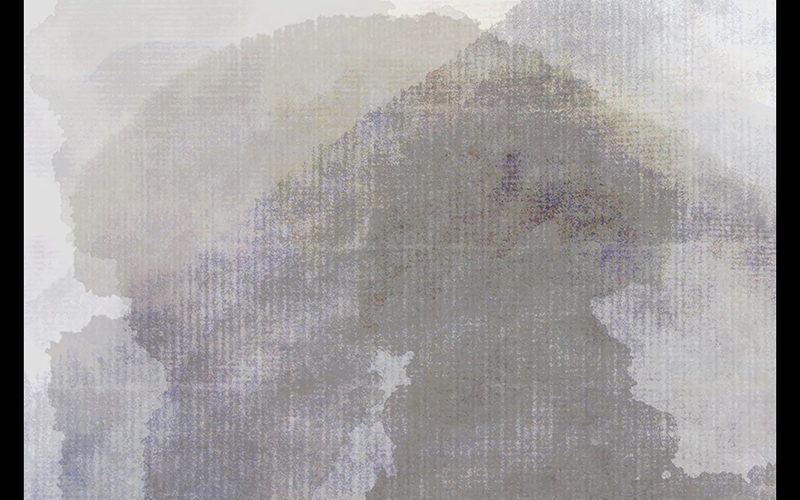 The mountain climber character is removed, and the scale itself (rather than the character) moves from right to left. Without the character in the middle of the screen, the participant takes on a point-of-view perspective. An accelerometer inside the ruler sends angle/pitch information to the computer. 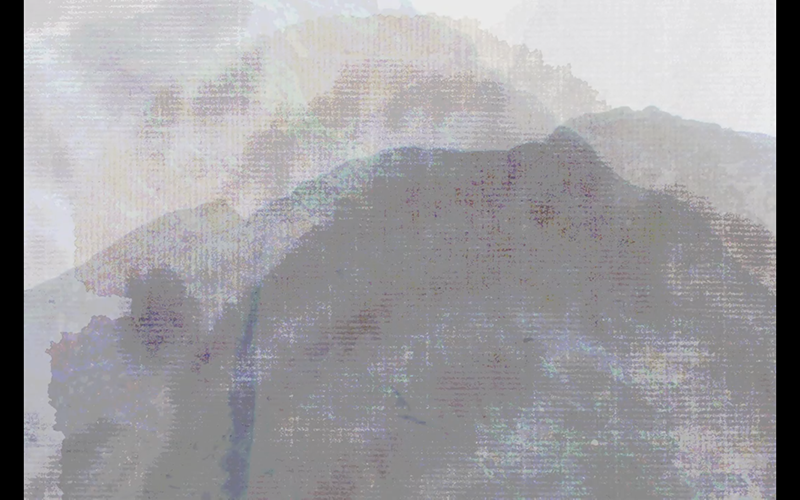 As the ruler is tilted, the angle of the on screen clouds changes in an opposing direction (while the mountain remains horizontal). Value is relative, and the sense of urgency is displaced, suggesting a deferral of payment or consequence. Audio sampled from the notorious live studio audience of The Price is Right pans left-to-right through stereo channels, again in response to the participant’s use of the ruler. 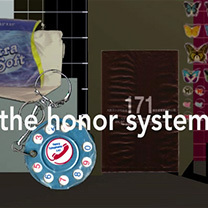 Music from the gameshow also helps to reinforce the reference being made. This piece was shown as a part of a solo exhibition at Low Road Gallery in Greencastle, Indiana. I was inspired by idea of "cruising the main drag." I am always amused and incredulous at different ways people show off in public. In some places, there are special streets where people drive or walk around, seemingly for the sole purpose of displaying them- selves, like a parade. In this sense, a parade can happen anywhere, any time. The animation takes depicts my point of view as the hypothetical parader, looking sideways along “road”. Where spectators might be, I see translated mirrors of myself - in the form of enigmatic bits of ephemera. Old posters, forgotten advertisements, newspa- per clippings about events that no one remembers. The scenery scrolls right-to-left, to suggest regression, looking back. This concept is further underscored at the end of the series, when the entire sequence "rewinds."